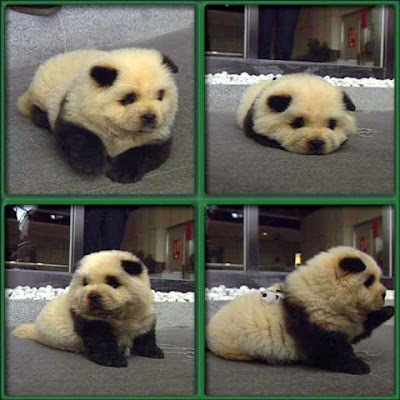 As babies, pandas may look like dogs. But have you ever seen a dog that looks like a panda? Here's a picture from Alternative Nation of a dog that mimics a panda. You can compare the dog to the picture of a real panda on the left. If you've ever wanted to have a panda as a pet, it's the next best thing! 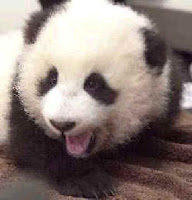 Watch a video of tiny, hairless panda babies here.